A screen capture of an IIFA promotional brochure that says Shahrukh Khan and Salman Khan would be performing on same stage. Shahrukh Khan did not perform. When the International Indian Film Academy Awards returned to the United States for the second time in three years, expectations were that the organizers would put up a much better show this time around. The first ever IIFA awards event held on US soil, in Tampa in April 2014, was marked by delays and numerous other complaints. But the 18th edition of the event, held at MetLife Stadium in East Rutherford, NJ, this past weekend, has left many movie lovers who paid top dollars for tickets disappointed and angry, and many are reaching out to credit card companies seeking money back. A number of people who attended the two-day extravaganza told the American Bazaar that they have filed dispute claims with their credit card companies and most have already got the ticket money back temporarily. The complaints about the event ranged from no-shows by stars, whom the organizers had said would be attending the event, inordinate delays in schedule, and lack of star presence at after-party events. The trouble started with the no-show of many big stars who were expected to attend the event, as per one of IIFA’s promotional materials, including two top Bollywood stars. According to one promotional document, the ensemble of cast that was supposed to attend “the greatest night of Bollywood” — as the brochure described it — included Shahrukh Khan, Salman Khan and Priyanka Chopra. 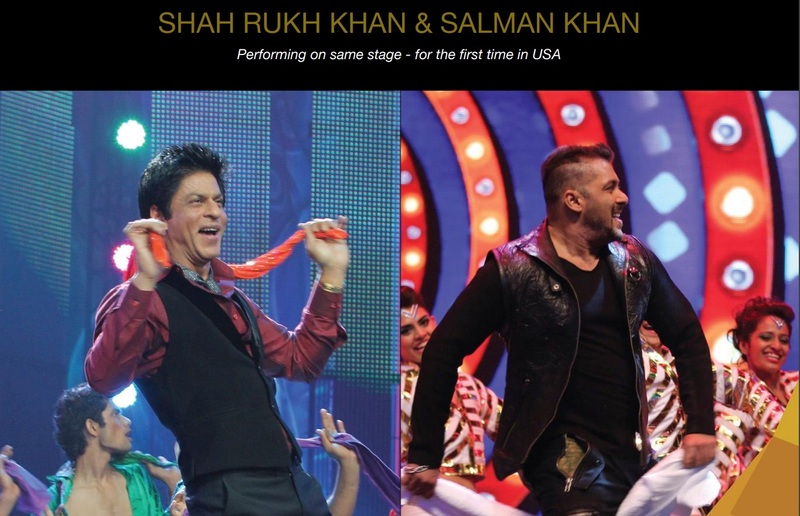 The Khans, two of the biggest names in Indian cinema, will be performing “on same stage — for the first time in USA,” the brochure clearly states. There was no fine print, or disclaimer in this particular brochure. Of the three, only Salman Khan showed up at the MetLife Stadium. Chopra, who spends considerable time in the United States because of her role on ABC’s Quantico, was reportedly in India during the IIFA weekend. It’s not just the two Indian superstars who were missing. According to another brochure, several Hollywood A-Listers, including Matt Damon and Julia Roberts, were also supposed to headline the event. 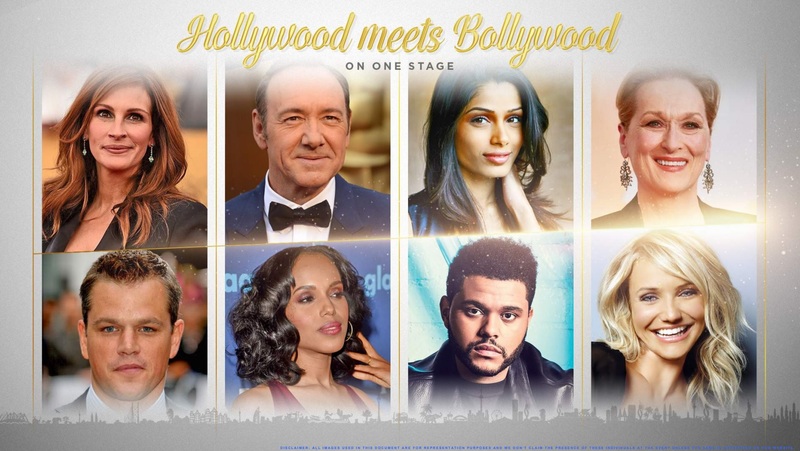 “Hollywood meets Bollywood on one stage,” said the brochure. A number of attendees that spoke to the Bazaar said none of the Hollywood the stars listed in the brochure performed at the event. But it is so microscopic in size that it’s hardly visible to naked eyes. (See the image below.) In fact, this disclaimer was in only one brochure, and absent in two other documents in possession of the American Bazaar. None of the Hollywood stars listed on the photo attended the event. The executive said he had gone to the main award show on Saturday and as well as the after-party in New York. “It was advertised that many celebrities will come. They kept telling us till 11 pm that stars will be coming. In the end, the stars did not come,” he said. The executive said he has sent several emails to IIFA officials since Sunday, but hasn’t received any response so far. He added that he contacted the New York attorney general to lodge a complaint, but was asked to contact the New Jersey attorney general’s office, since the event was held in New Jersey. Angry at being taken for a ride, he said he plans to join hands with others to ensure that consumers are not subjected to a similar treatment. Among the tens of thousands who attended the two-day event were thousands of out-of-towners. Prominent New Jersey-based physician Dr. Sanjay Gupta said a number of his friends who flew in from different parts of the country for IIFA had purchased expensive tickets, ranging from $1,500 to $5,000. “They were disappointed with the arrangements,” he said. According to IIFA’s promotional materials, “VIP” ticket prices ranged from $1,500 to $35,000. It was not just the no-shows that disappointed attendees. Some were livid that some of the artists who did show up made only cameo appearances. After the first day’s experience, Singh said he skipped the Saturday’s performances. Another major complaint was about the inordinate delays in schedule. For instance, maestro AR Rahman’s performance — one of the marquee shows of the event — did not start until about 12:45 am Saturday. Singh and Dr. Gupta said poorly organized events like the IIFA awards will tarnish India’s image globally. The American Bazaar has tried to reach IIFA via email, but it hasn’t received any response. The mission of IIFA awards is to promote Indian cinema worldwide, and since its 2001 launch, the awards event was held in cities such as London, Johannesburg, Singapore, Amsterdam, Dubai, Yorkshire, Colombo and Toronto.